NovaStar A8, Armor8 is the high-end mini LED receiving card with small sizes and full functions. 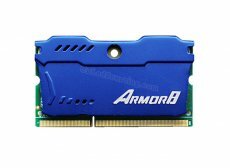 It has adopted DDR3 interface which makes it easy to fit various electrical structures. The board card has integrated network transformer to simplify design for users. One board card can suit all kinds of applications. 1) A single card supports 256*256 pixels. 2) A single card supports parallel output of 32-group RGB signal. 3) A single card supports output of 64-group serial data. 4) A8 has integrated network transformer to simplify the design for users. 5) A8 supports various hot backups such as loop backup, dual card backup, dual power backup etc. and seamless switching. 6) A8 supports dual backup of display parameters. 7) A8 supports module Flash management and allows for the storage of calibration coefficients and module information. 8) A8 supports applying module Flash calibration coefficients through one-click. 12) A8 supports smart module with the functions of storing and managing information like calibration coefficients, module information, module parameters etc. as well as flat cable detection and LED pixel-by-pixel error detection without the need for monitoring card. 13) A8 supports LCD Human-Computer Interaction (HCI). 14) Supports Mapping. Enable the function and the serial number of current cabinet and its connected Ethernet port number will be displayed. 15) A8 supports monitoring of temperature, supply voltage, and network communication status. 17) A8 supports backup of double calibration coefficients. 18) A8 supports module ID. 19) A8 supports prestoring picture settings. 20) A8 supports configuration file readback. 21) A8 supports firmware program backup and readback. 22) With specific EMC design to effectively reduce electromagnetic radiation.